ATLANTA, August 21, 2018	(Newswire.com) - OrthoAtlanta is proud to serve Atlanta’s Major League Soccer (MLS) team, Atlanta United FC, and Atlanta United 2 providing medical care, including orthopedic and sports medicine care. OrthoAtlanta orthopedic surgeon, Peter J. Symbas, M.D., serves as Chief Medical Officer for Atlanta United FC. 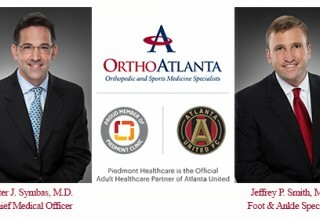 Jeffrey P. Smith, M.D., OrthoAtlanta foot and ankle surgeon, provides orthopedic and sports medicine care to Atlanta United 2. 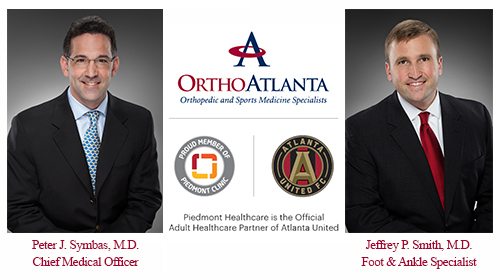 OrthoAtlanta physicians serve Atlanta’s professional soccer teams in collaboration with the Piedmont Healthcare role as the Official Adult Healthcare Partner of Atlanta United. OrthoAtlanta Orthopedic and Sports Medicine Specialists are one of the largest physician-owned orthopedic and sports medicine practices in Atlanta with 39 physicians and 14 offices across the greater Atlanta metropolitan area. 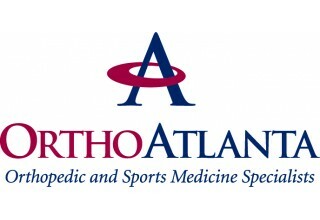 OrthoAtlanta is one of the largest physician-owned orthopedic and sports medicine practices in greater Atlanta, Georgia, with 14 offices, 37 physicians and 450 staff providing operative and non-operative care for bones, joints, muscles and spine. Pickleball is one of the fastest-growing sports in the U.S. and OrthoAtlanta proudly serves as the official orthopedic and sports medicine provider to SCPA and its 18-court Spalding County Pickleball Complex, the second-largest in Southeast U.S.
Orthopedic surgeon specializing in foot and ankle, provides surgical and non-surgical treatment for foot and ankle pain, injury and disease.